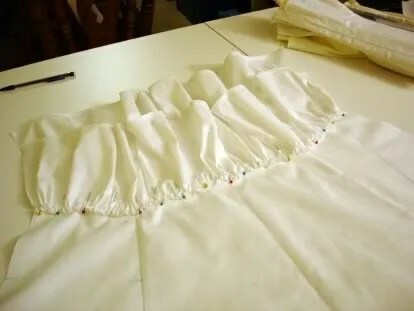 I am super close to finishing my 1880s underpinnings. 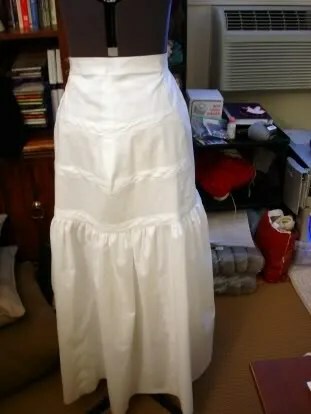 I only have to finish binding the corset, put a closure on the bustle petticoat, and hem the petticoat. This of course means I have photos! Chemise–this is the Laughing Moon pattern. I found the center front yoke placket thingie to be extremely fiddly, but it’s done. 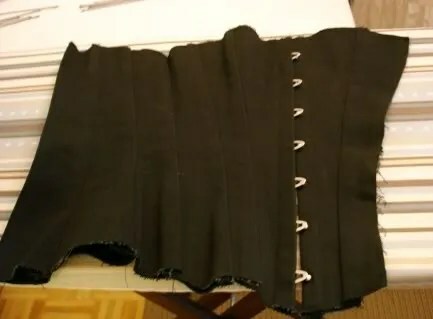 This is the only picture I have of the corset so far, but I’m much closer to finishing than is pictured here. 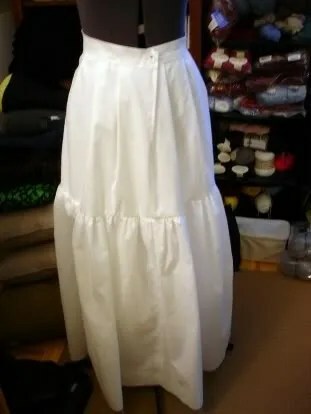 In sewing news, I finished the overlay for my bustle and started in on the chemise right before Christmas. 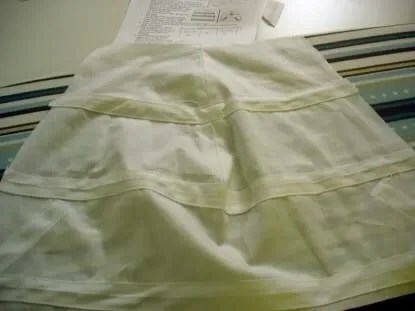 The yoke of the chemise. It’s still the LM pattern. I read about how the yoke has a few fitting issues, but I think my mockup dealt with most of these. 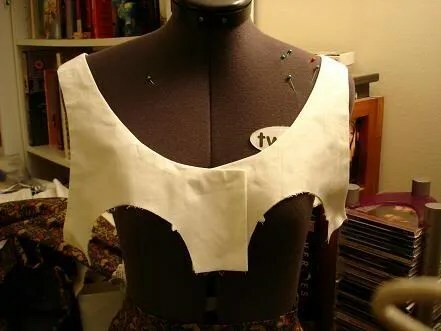 So I’ve been working rather frenziedly on my bustle, using TV 101. I’ve gotten about as far as I can go without putting in the hoop boning, which I haven’t purchased yet. Which meant it was time to stop and post pictures! Back. Besides missing the bones, the overlay isn’t on yet either. Front. Also gives a pretty good view of my yarn cubbies in the background. Man, I need to clean those out a bit! 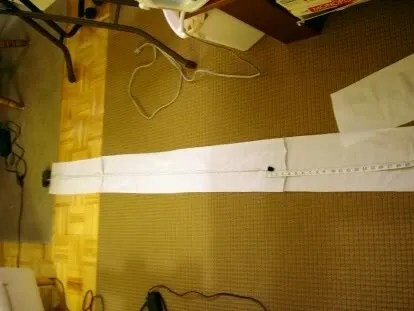 Measuring out the ruffles for the overlay. 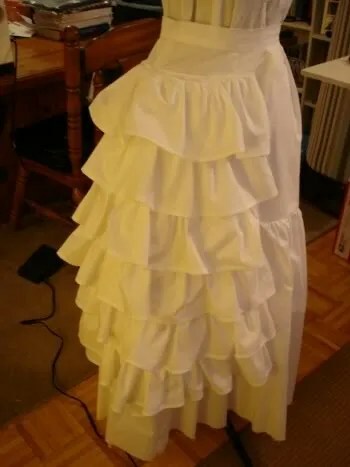 I had to use two tape measures because they each only went up to 60″, and I needed a 86″ ruffle. 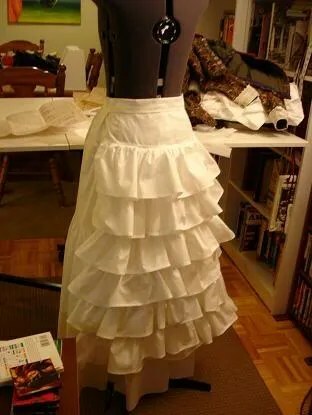 Putting the ruffles on the overlay. 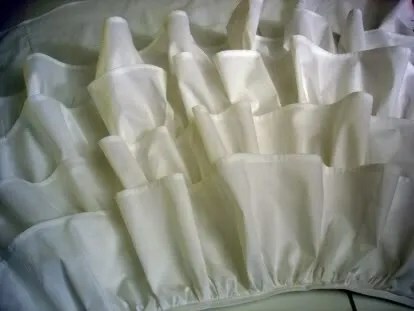 I followed the directions at the Farthingales Canada site, here, because, as Farthingales mentions, the TV directions aren’t too clear about how to attach the ruffles. Most of the other Farthingales criticisms have been addressed in the revised version of TV 101, but not that particular point.